Avant Garde Aviation is a knowledge based enterprise belonging to Rikira co Ltd that gives expert advise and other services enabling Clients to attain aviation objectives through our extensive databases and experience in the industry. We specialize in aerial vehicles that use modern or advanced technology. We give extensive advice about aviation applications and about on board equipment such as surveillance technology. We provide brokerage sevices on certain types of aircraft, equipment and businesses. We offer Aviation investment opportunities in new start up companies or investment in expanding corporate entities. We supply information about Companies, Individuals, Governments and other entities that may have caused concern about their activities and or have been involved in litigation likely to have put their credability into question. We supply all information and receive all information from clients in a secure format using unbreakable encryption. All our databases are encrypted and stored in a secure unknown location thousands of kilometers from our operational base. We never disclose Clients information to any person, corporate or government body without our clients expressed written and verified permission. We inspect aircraft together with appropriately qualified personnel. We give advise about the best kind of transport and or ferrying for any type of aircraft to and from any destination world-wide. We give advise about military applications for various aircraft subject to certain conditions. We give advice about filming from aircraft and the licences that may be required and suitable types of aircraft that may be applied to a certain type of camera platform. We give advise and set up information about competition flying events and record breaking attempts. We undertake complete project management of aviation businesses events and training, as well as aviation business related operations such as spectral analysis, surveillance, and aerial information gathering using specialist FLIR, TI and laser guided imaging systems. Under certain conditions we act as agents between interested parties for a percentage of the involved financial interest. Please ask for further information about our services all of which cannot be listed here. © Rikira co Ltd 2008. This website and its content including all media are copyright Rikira co Ltd and may not be copied without the written permision of the copyright owners. 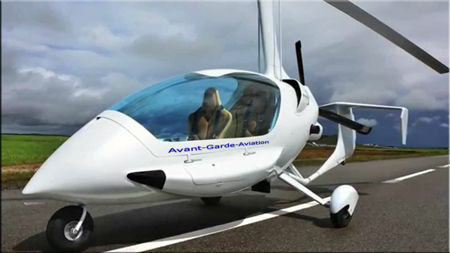 Avant-Garde-Aviation is a trading name of Rikira co Ltd and may not be used without permission. Directors: Robin Grant, John PC Gibbons.